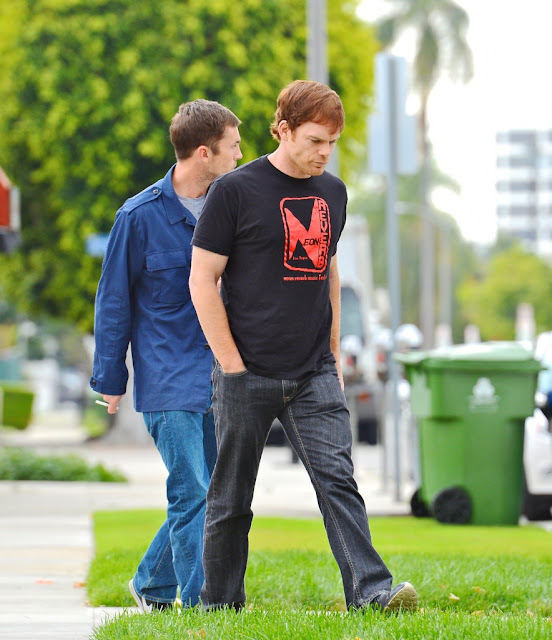 Dexter Daily: PHOTOS: Michael C. Hall & Desmond Harrington Grab Coffee in L.A. 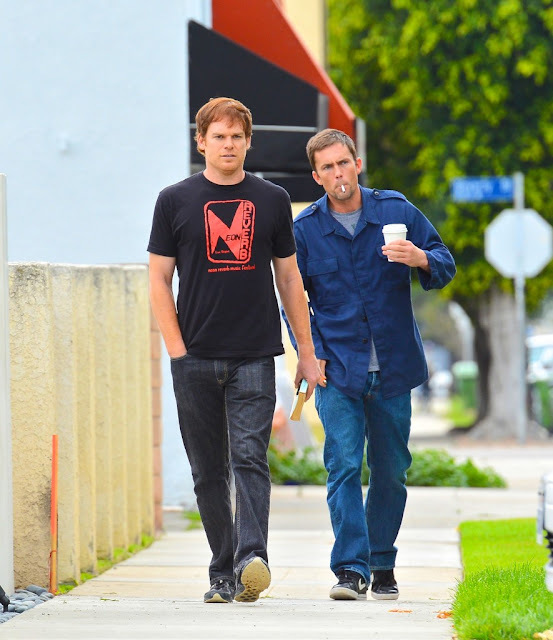 PHOTOS: Michael C. Hall & Desmond Harrington Grab Coffee in L.A. He does not. He look completely normal for a guy his age. He has beaten cancer , which would have meant taking steroid that cause weight gain, not to mention every 2nd pap pic is of him at the gym and jogging. You might want to criticize your self before others. Season 7 will be recorded in LA or Miami? I will miss the cuban music! havent filmed in miami since the amazing AMAZING completion of S01, the most complete season of television ever! I think you may be too kind, Marto. Or you've never seen S4 of the Wire. I came to L.A to kill serial killers and eat ice cream. And I'm all out of ice cream. Here in Brazil are saying that 8 season will be the last... I hope not! 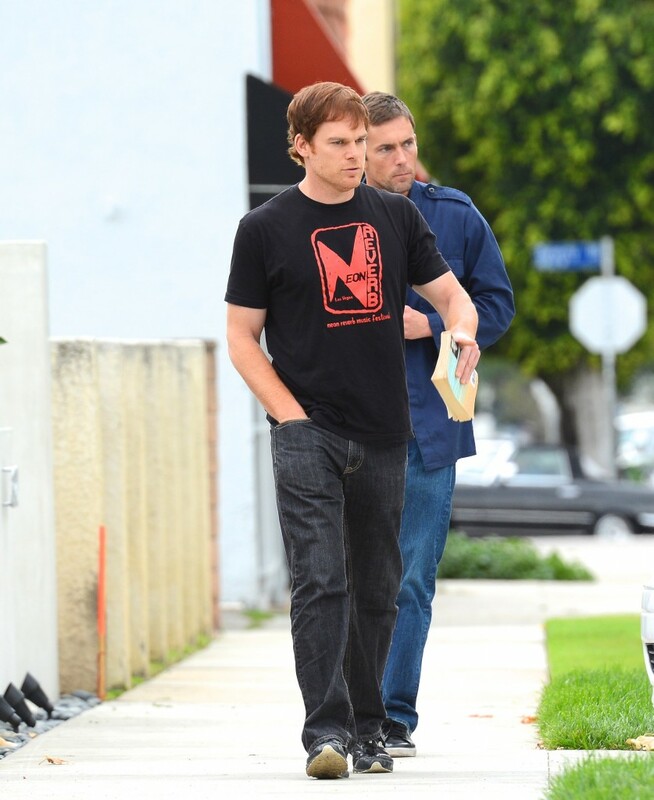 Michael always has a book in his hand. Love that. I see Dexter finally got his book back from Quinn. They look so serious. Was MCH having lunch with him to say that Quinn was going to be killed off? I hope not, but you never know. They're good friends, I presume. 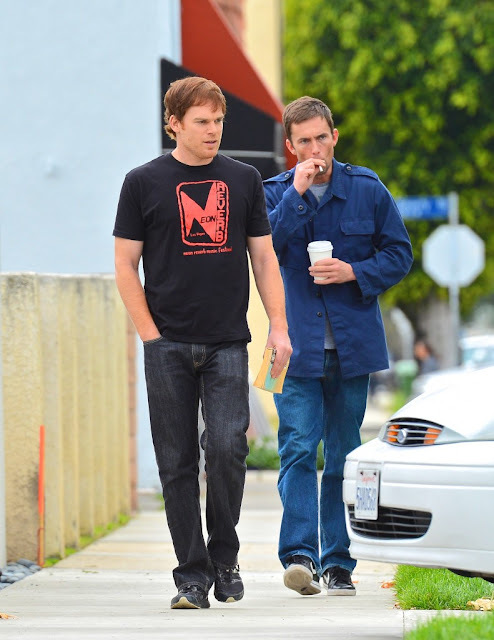 I saw them in the West Village together. Am I the only one who feels awkward seeing this whilst being used to Dexter and Quinn hating each other? love the clothes. they;re both so stylish. MCH and DH are so awesome! I like MCH better though. He is my idol! Love DEXTER! Can't two guys hang out without them being gay?! and even if they were, so what? That goes down as "dipshit comment of the week"
Anon 3:10 - Has anyone told you before that you're a total douchebag? They probably look serious 'cause how would you like a camera in your face every time you went for a cup of coffee? That's my guess. LOVE Michael C. Hall!! And Jennifer Carpenter. So anxious for September 30th! My favorite show!